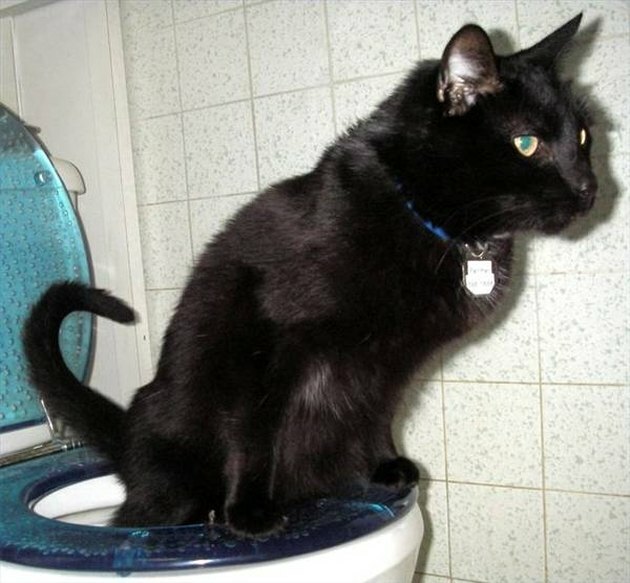 Certain types of urine, particularly cat urine, can smell strongly of ammonia. This smell is very difficult to eradicate should your furniture, clothing, bedding or carpeting become soiled. There are certain types of home remedies that may be effective, however, depending upon what type of surface has become urine-soaked. White vinegar mixed with three parts of water (i.e.,1 cup vinegar to 3 cups of water) makes an effective deodorizing solution for urine-soaked bedding, furniture and carpets. If the urine stain is still wet, blot up as much of the urine as possible with paper or cloth towels, then saturate the area with the vinegar/water mixture. Let the vinegar solution dry, launder the item if possible, then do the "sniff test" to determine whether further odor eradication is necessary. If you have urine-stained clothing, throw rugs or bedding and you wish to throw them in the laundry right away, be sure to add 1/4 cup of cider vinegar into the washer along with the detergent. If you do not have cider vinegar on hand you can use white vinegar in your washing machine as well, but cider vinegar tends to leave a more pleasant, apple-like scent behind. Baking soda is a classic home remedy for odors of all kinds. In the case of a urine stain, sprinkle the stained area generously with baking soda. Rub the soda into the soiled area, particularly if the area is a deep-fibered carpet. Let the baking soda sit for at least half an hour, longer if possible, then vacuum it up and check to see if the ammonia smell is gone. Hydrogen peroxide, in the standard 3% solution you can buy in grocery and drug stores, can also be useful in removing ammonia-like urine odors. One particularly effective way of using peroxide is to mix a cup of it with a tsp. of dish soap, and then sprinkling this solution over a urine-soaked area that you had previously sprinkled with baking soda (described above). With a soft bristle-brush--like a fingernail brush or a dish brush--work the peroxide solution into the baking soda to form a paste. Let it dry, vacuum it up, and repeat as necessary until the ammonia smell from the urine is all gone. If you are concerned about the color of the fabric or material in the area being treated, you may opt to do a test in an inconspicuous area first, as hydrogen peroxide can have a bleaching effect. If you are dealing with urine-stained cement flooring or walls that smell strongly of ammonia, you may, if you are very careful, be able to use bleach to get rid of the smell. Before you go anywhere near the bleach bottle though, you'll need to wash the area thoroughly with a cleaning solution that contains absolutely no bleach. Chlorine bleach mixed with ammonia can be a deadly combination, as these substances create a poisonous gas when mixed. Then rinse, rinse, and rinse again with clean water. Rinse a few more times for good measure. You want to make sure that there is no ammonia left to react with the bleach. Once you have washed and rinsed, mix up a solution of 10 parts of water to 1 part of bleach and pour it into a clean spray bottle. Be sure to choose a bottle that has never held anything containing ammonia. Try to ventilate the area by opening any available doors and windows in the vicinity to let in some fresh air, then spray down the walls or floors with the bleach solution. Let the wet areas sit for 30 seconds or so, then wipe them down with a rag. Allow some time to let the area dry before checking to see if a second application is necessary.